Whoever advised this APC government of Nigeria, headed by a Sudanese and controlled by the Fulani cabal resident in Aso Rock, to go after Nnamdi Kanu’s sureties and friends doesn't wish the country well. We doubt if a highly civilised British government will give their support or encourage such blatant witch-hunt against Chief Osita Chidoka and Senator Enyinnaya Abaribe. It is no secret that both Chief Osita Chidoka and Senator Enyinnaya Abaribe were central in the perfection of the bail of our leader and prophet of our time Mazi Nnamdi Kanu. It is also not a secret that the vindictive nature of the average Fulani man predisposes them to mindless pursuit of vendetta against those they perceive to have acted knowingly or unknowingly against their interest to dominate Nigeria. Mazi Nnamdi Kanu the leader of IPOB dead or alive is the worst nightmare of the corrupt Fulani ruling class. Therefore anybody seen close to him must be persecuted or killed. That is the fate being endured by Senator Enyinnaya Abaribe and Chief Osita Chidoka at the present moment. The orchestrated witch-hunt against Chief Chidoka and Senator Abaribe must stop with immediate effect or else every APC infrastructure across Biafraland, both human and material will be decimated beyond recognition. We are not interested in engaging in any direct confrontation with anybody but if Nigeria thinks they can harass these outstanding Igbo sons because they merely stood up to surety our leader, then they are grossly mistaken. There are countless corrupt Fulani men in Nigeria. In fact that Nigeria is so backward today is because of Arewa misrule and unprecedented entrenchment of mediocrity at the heart of governance. The obsession of this APC regime with Nnamdi Kanu, IPOB and Biafra is its greatest undoing. Using blackmail to intimidate the political class in the South East does not mean there are no more men of good conscience who can rise up to criticise evil when they see one. Senator Abaribe is right to criticise this murderous catastrophic disaster of a government. We are waiting to see the faces of those purportedly seeking his recall then they will know how powerful we are. 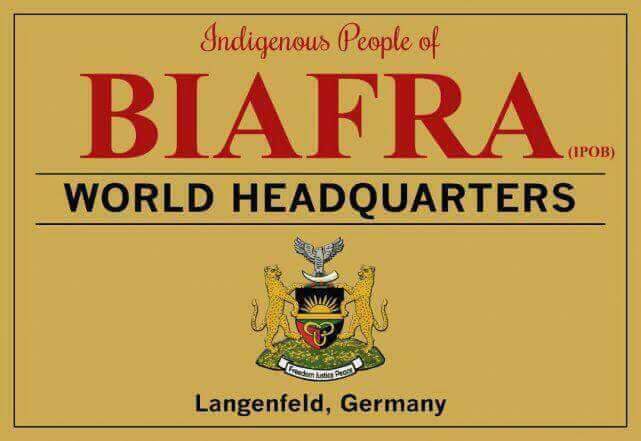 IPOB is not and will never be interested in Nigerian politics but any politician unfairly singled out from the South East, South South and Lower Benue, to be ridiculed and messed up by either the EFCC or any other Fulani controlled government agency, will be resisted to the hilt. This nonsense is becoming intolerable. What are the crimes of Chief Osita Chidoka and Senator Enyinnaya Abaribe? After all IPOB did not participate in Anambra elections which Chief Chidoka contested. 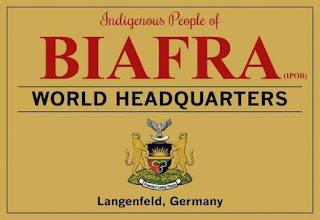 Had IPOB desired, we would have put Chief Osita Chidoka in Government House in Awka as the Governor, rigging or no rigging. Senator Abaribe merely criticised this regime which is his duty to do as an opposition law maker since at least on paper Nigeria is still a democracy. They say charity begins at home. There are countless corrupt Fulani men and women both inside and outside the present regime that have so far eluded EFCC investigations. Why is it that not a single Fulani man has been prosecuted? But a very sick Olisa Metuh is dragged in front of TV cameras every day, humiliated and ridiculed because Igbos are politically irrelevant in Nigeria. This confirms that politics of appeasement played by politicians and people of South East and South South is counter productive. In their futile desperation to be seen as good Nigerians, they allow their sons and daughters to be humiliated by Fulani EFCC before Fulani High Court judges. What they fail to ask is, where are all the Fulani and other core north treasury looters? Why are Fulani looters of the treasury not dragged before the courts by the EFCC? This is a wake-up call to those who for long has buried their head in the sand because of fear and threats of blackmail. IPOB is against all forms of corruption but war against corruption should not be used as an instrument of coercion as is the case with Osita Chidoka and Senator Abaribe. Threatening to recall Senator Abaribe because he spoke his mind is an impeachable offence in any civilised country. We recommend that controllers of Buhari's regime should start their sham one-sided anti corruption crusade from the North because they have the highest concentration of looters. We remember Umaru Dikko very well. We remember the Abacha loot, which we understand are still being recovered after 10 years due to its enormity. We remember Ibrahim Lamode that allegedly stole $5billion and remained as EFCC chairman until upright men in the senate like Senator Enyinnaya Abaribe launched investigation into the allegations. Do you think we will forget the illegal CBN recruitment, Babachir Lawal and his N200million grass cutting contracts. Why wasn't he remanded in prison, or is it because he is a Fulani man and Muslim. How about the NNPC $24billion contract scam perpetrated by this APC regime, who will investigate it? The group Managing Director of NNPC Maikanti Baru and Chief of Staff to the President, Mr Abba Kyari were both implicated in the scam. Why is EFCC not pursuing them? Have you forgotten the illegal recall and promotion of Abdukrasheed Maina, how many Fulani people were arrested and detained by the EFCC? Please start your investigations with these people and stop going after soft targets because you know Ohaneze Ndigbo and PANDEF are compromised, foolish, cowardly and too weak to defend their own. Leave Senator Abaribe and Osita Chidoka alone! If you want them to forfeit their bail bond please use the appropriate channels which is the law court not crude and primitive intimidation by the EFCC. It may have worked with Senator Dino Melaye but it definitely will not work with Senator Abaribe because IPOB will not allow it.